Early on, it must have come across as an eccentric idea—using soybean oil to power vehicles. Yet, that’s the idea the Missouri Soybean Merchandising Council and University of Missouri researchers were pursuing in the early 1990s. The soybean council had decided to invest in finding a way to create a new market for cheap, plentiful soybean oil. It turns out, they were on to something. The work in Missouri in the early 1990s helped establish a national biodiesel industry that produced 1.8 billion gallons of biodiesel fuel in 2013—an industry record according to the National Biodiesel Board. While that number includes other fuel sources such as recycled cooking oil and animal fats, it is dominated by soy-based biodiesel. The mighty soy bean. Click to expand. “The US biodiesel industry has grown exponentially in the last 10 years,” says Kaleb Little, communications manager at the Jefferson Citybased National Biodiesel Board, noting less than 25 million gallons of fuel were produced in 2004. 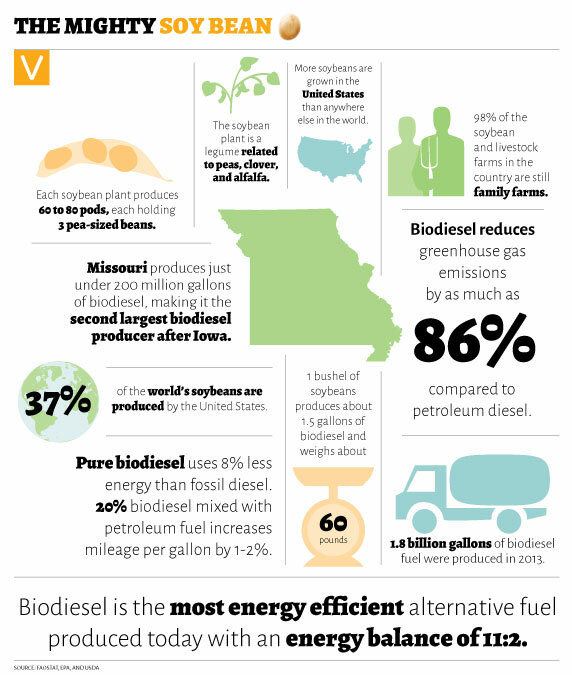 Missouri is a major beneficiary of the national biodiesel boom. Today, the state is home to eight soy biodiesel production facilities. In 2014, Missouri produced just under 200 million gallons of biodiesel, making it the second largest biodiesel producer after Iowa. Soy biodiesel’s rapid expansion is happening today because it offers potential answers to two of the nation’s most perplexing fuel problems: soy biodiesel is produced domestically and it pollutes less than many other fuels. A 2014 report by Value Ag LLC found soy biodiesel production in Missouri had a positive economic impact of more than $312 million. The growth of the biofuel industry has happened alongside a broader effort to reduce the nation’s dependence on oil imports. Nationwide, the industry has created more than 60,000 jobs and more than $2.6 billion in wages. In 2002, the Environmental Protection Agency performed a comprehensive study on the emissions created from biodiesel and found that biodiesel reduces greenhouse gas emissions by as much as 86 percent compared to petroleum diesel. 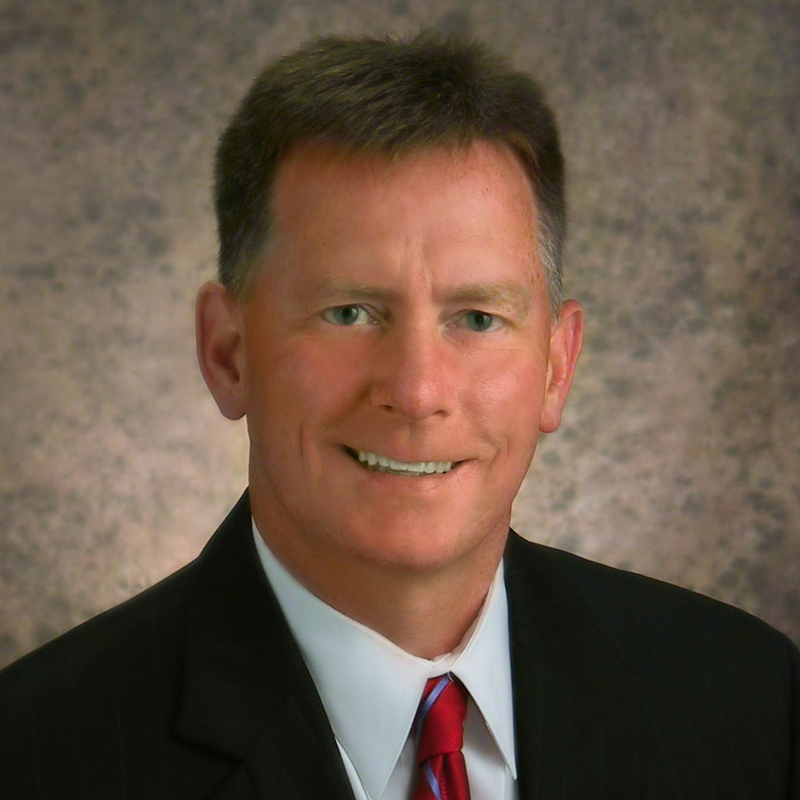 “[Biodiesel] is less toxic than table salt and biodegrades as fast as sugar,” Little says. Even with the sustained growth over the last decade, the biodiesel industry has reason to believe things are just getting started. The industry’s 1.8 billion-gallon output in 2013 accounts for just 5 percent of the US diesel market.